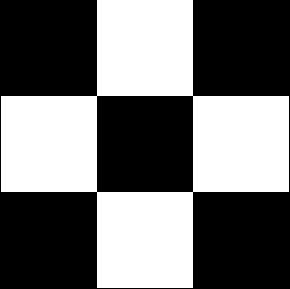 And That Has Made All the Difference: a Four-in-Art Quilt | OccasionalPiece--Quilt! 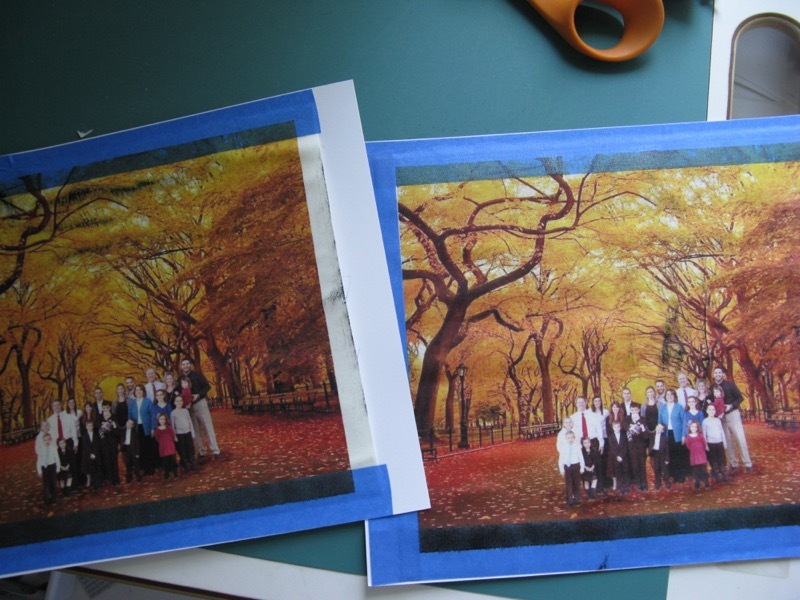 Posted on November 1, 2015 by Elizabeth E.
I chose a family group picture from the last time we were all together, almost 2 years ago this December, and cut-and-pasted it into a photo I grabbed from the web of a golden allee (which I think must be in New York’s Central Park). I tweaked it, then printed it on some fabric I’d prepared with Bubble Jet (more info about that on *this* post). I let it dry from the printing, then set it with Bubble Jet Set, laid it out to catch the excess moisture (below), then hung it to dry. It needed more leaves. So I cut out scads and scads of leaves from fabric that I’d backed with fusible webbing, and ironed them on. I framed the photo with a partial log cabin arrangement, then quilted it. 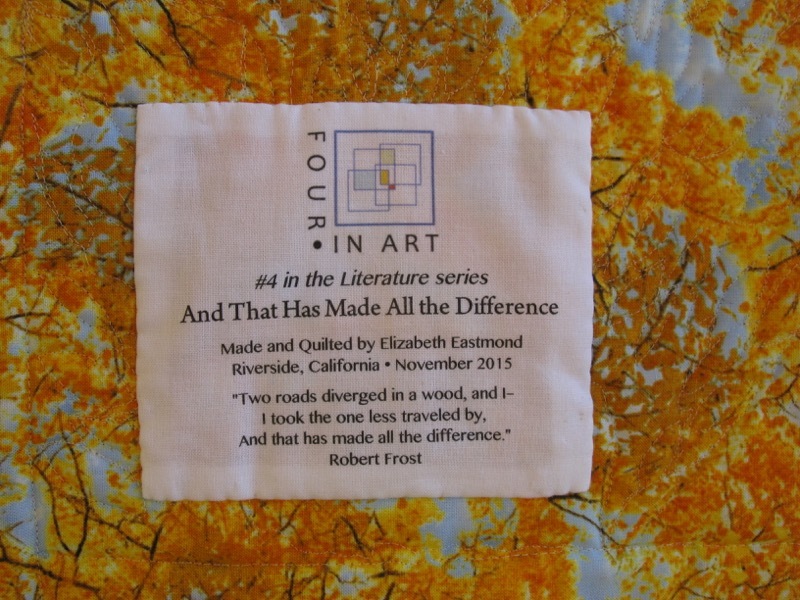 In conjunction with the making of this quilt, I read the book by David Orr, The Road Not Taken, which is an analysis of this poem, which apparently most of us get wrong (sorry to be the one to break this to you). We think it’s about rugged individualism, of the choices that we make and how we come out on top. That idea, apparently, is routed firmly in our American way of looking at things, which is to say, that as a country, America comes out on the top in scales ranking us as the most individualistic (only the Czech Republic was tied with us.) And it’s certainly part of the part and parcel of this poem, when we talk about it and think about ourselves as that individual (notice how there are no other people in this poem) striding through a dappled forest, making astute and informed choices. But really, it’s about so many things. While there are many threads in this book, I was quite intrigued with the idea of being at the crossroads. And in introducing that idea, Orr wonders if it’s not about the final victorious moment, but rather it is about”[t]he moment at the crossroads”. . . “in which all decisions are equally likely. We haven’t moved, we haven’t chosen, we haven’t sinned” (51). Orr quotes the introductory note on Frost in the second edition of The Norton Anthology of Modern Poetry:” ‘The Road Not Taken’ seems to be about the difficulty of decision making but is itself strangely reluctant to resolve. It keeps us in the woods, at the crossroads, unsure whether the speaker is actually even making a choice, and then ends not with the decision itself but with a claim about the future that seems unreliable’ ” (70). Even Frost himself, in a note to Leonidas Payne in November of 1927, writes: “My poems—I should suppose everybody’s poems—are all set to trip the reader head foremost into the boundless. Ever since infancy I have had the habit of leaving my blocks carts chairs and such like ordinaries where people would be pretty sure to fall forward over them in the dark. Forward, you understand, and in the dark” (53). Forward and in the dark is about how I feel about many decisions I make, but the quality of individualism whispers in my ear at all times: I am the one who can see clearly to choose, as if the “I” was unchanging, solid, rooted in bedrock. Yet doesn’t the choosing change us? And then doesn’t every choice become monumental? Orr agrees, saying that “If we can’t persist unchanged through any one choice, then every choice becomes a matter of existential significance—after all, we aren’t merely deciding to go left or right; we’re transforming our very selves” (60-61), which is one aspect of what the poem is about: choice is slippery and transformative, yet a constant in our lives. However you think about it, I did make a significant choices some twenty-six years ago to marry my husband, to join with him in raising the four children I brought with me out of a period of loss and devastation, and in doing so I not only changed my life, but the lives of the children. Here they are together. Somehow I need to stitch them together and meld them together into one quilt. Next reveal date is February 1st, 2016. We have had a series of emails amongst ourselves, clarifying where we want to go in the next year, and found again our desire to keep working together. Rachel is now the head of our group, and we will have a new theme and quarterly challenges. Stay tuned. Well done, Elizabeth! I think this last quilt really brings your interpretation of the poem home, while the other 3 are stops along “the road”, appropriately! And now there will be another reminder note on my computer “must check out Bubble Jet”!! Cannot wait to see how you will pull these 4 mini’s into something! 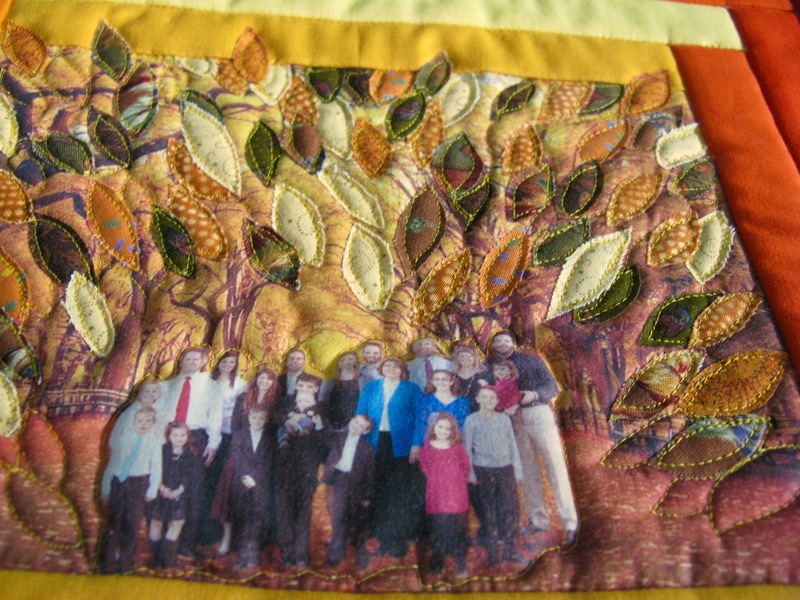 It’s apparent that you enjoy this kind of quilt “study,” giving attention to the challenge theme and then finding creative ways to interpret them. I’m happy for you to enjoy that process, and your results are wonderful. I do like them together and wonder if you could use small grommets and rings to loop them together – connected, but not touching. It’s great to know your group is cohesive, and that you’re already planning 2016. It’s fortunate you’re in a group where you’re so like-minded. Hope you are feeling better physically and emotionally, as I know the summer wasn’t easy. I’ve been praying for you. Interesting about the different interpretations for the poem. 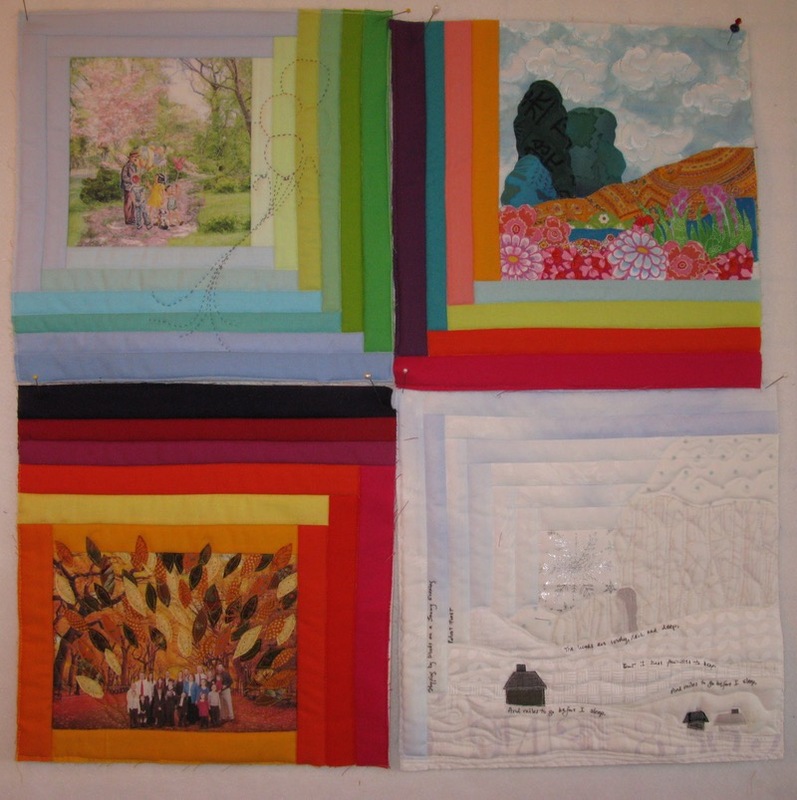 Your final quilt will be lovely with the different parts coming together. 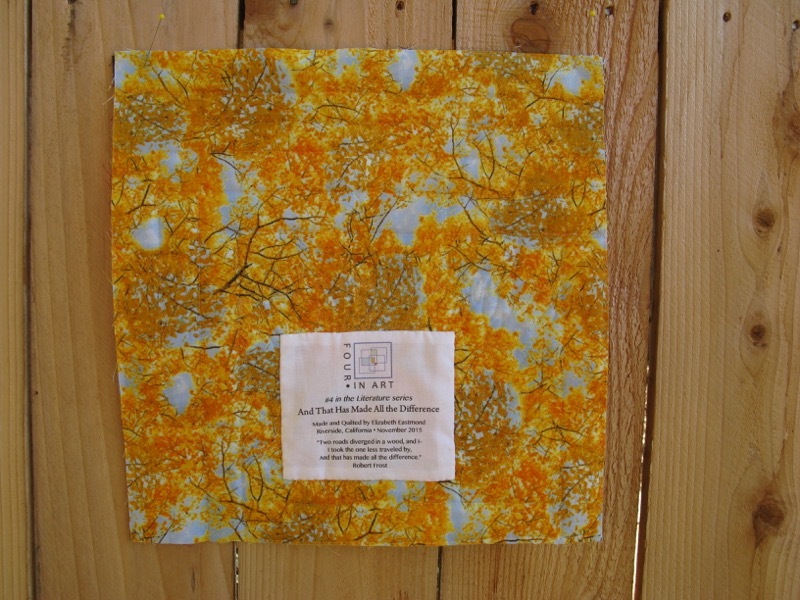 The techniques you use make me itch to see you in action on a quilt. I like how you blend all these things into a quilt that truly says a lot. This one really makes me think about the roads I have taken, how I can’t look back and wonder where the other road would have taken me. I think the read of your blog deserves a journal entry from me. Thank you for such a splendid piece. Can’t wait to see them joined. I agree with what Nancy says- your mini, the interpretation and your discussion of it makes me think about the choices, decisions and roads I have taken too! I love the four quilts together too. I would love to see them positioned with the coloured strips to the outside edges, where possible. That way the eye would be more drawn to the ‘core’ of each piece…just a thought? Beautiful Elizabeth. It’s always a pleasure to read your art posts and hear the story behind them. My husband recently told me he’d been pondering the meaning of life and had decided the meaning of life is that God gave us the gift of choice. Our lives are about the choices we make as life goes along. I love your choice of poem – I suppose we are all writing the story of our own lives as we go along – and the way you have brought your own experience to it too. 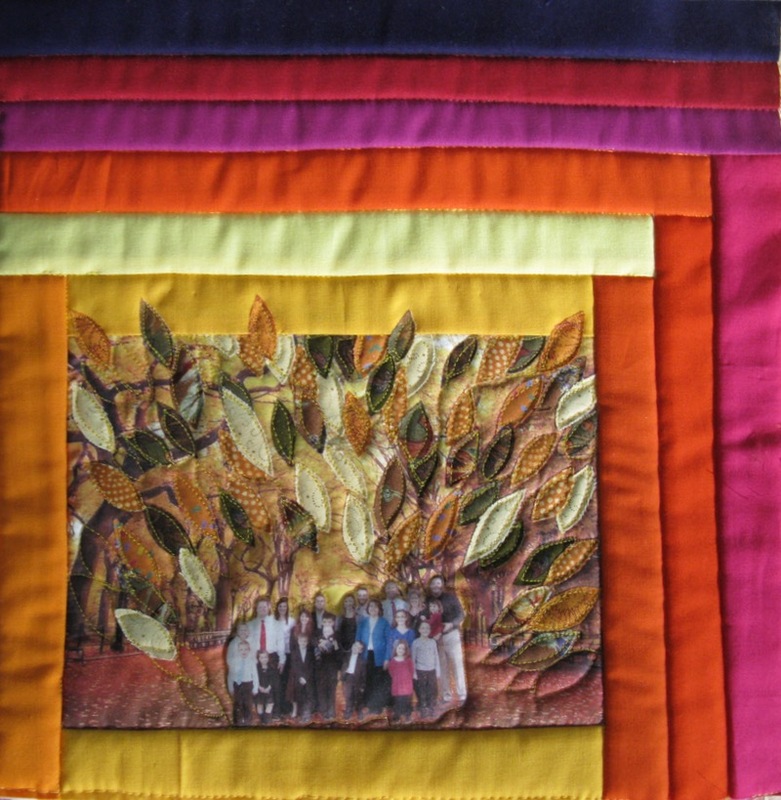 I also love the way that all of your quilts are thoughtful pieces in their own right, but that each contributes to one beautiful coherent piece, with this last very personal quilt completing a work which really reflects you. I really enjoyed reading your thought process around this and seeing the quilt emerge from that. Great to see them all together so far. 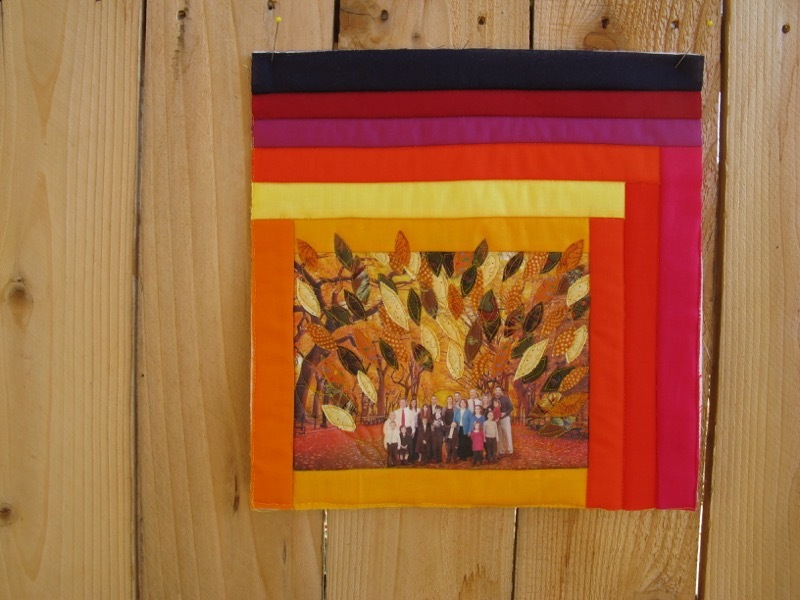 You now have a fantastic collection of 4 mini quilts! I love how each one is a beautiful example of the poem, season and your personality. I am interested to see how you finally connect, frame or display these quilts. 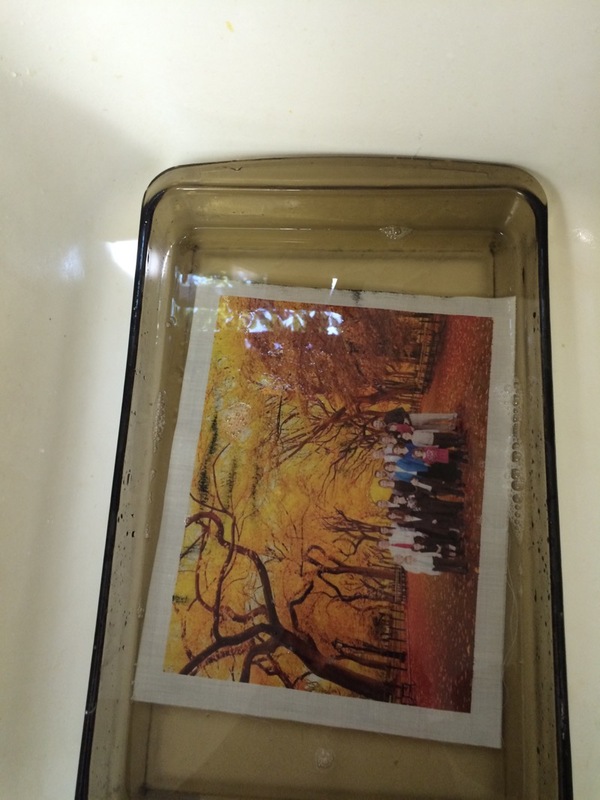 Have you considered framing them without the glass? 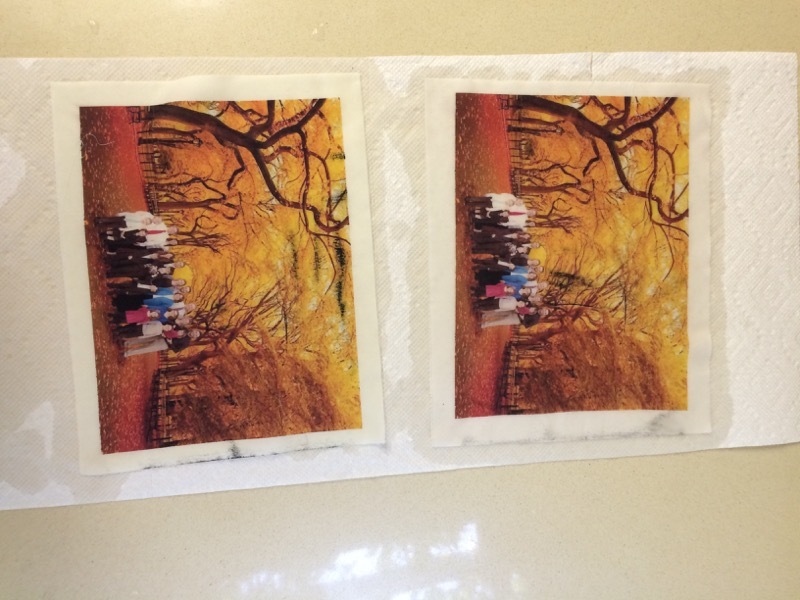 Thanks for sharing your creative process and how you color corrected in Photoshop, printed and and used Bubble Set Jet. 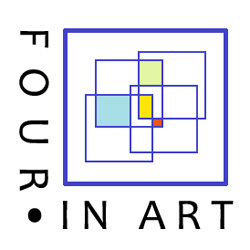 Your Queen Bee leadership and jazzy contribution to the Four In Art group continue to be a wonderful part of my life….THANKS!!!! Another excellent piece, Elizabeth, with an amazing interpretation of the poem. I always love reading about how your mind works to create such stunning and meaningful pieces of art. They look wonderful together too. I think I would keep them as minis and hang them together. Reading your thought process is always my favorite part. And of course reading about HOW you accomplish the actual details on your quilts is always so interesting. This is such an interesting group to be part of. Well, it took me a whole week to finally comment. I really like this one. I think perhaps the personal aspect of it adds to the meaning. You keep doing techniques that I keep thinking I should try. 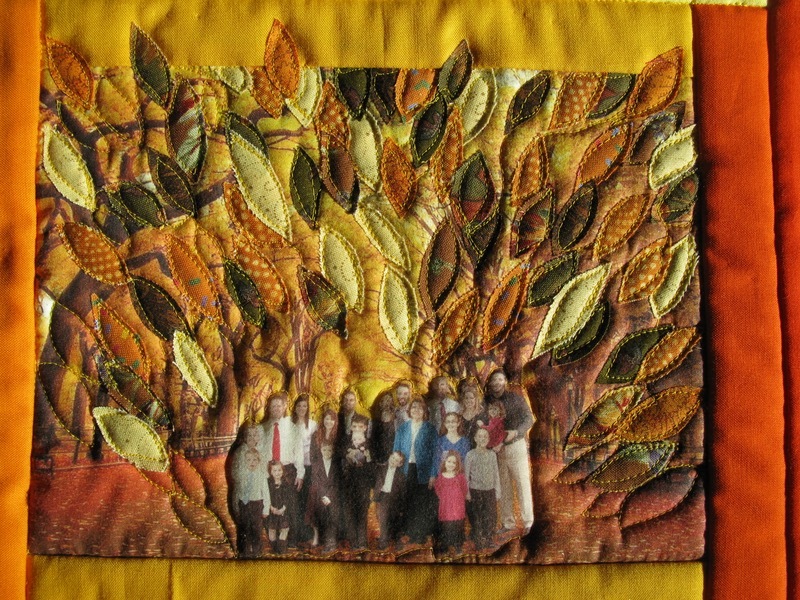 I also really appreciate your thoughts and background story to all the quilts. Lovely.